Join us as for release of new CAAAV Report! HERG takes on San Antonio! 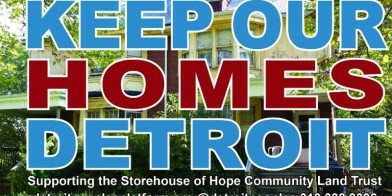 Join us in supporting #KeepOurHomesDetroitDr. Susan Saegert receives the 2015 Newman-Proshansky Career Achievement Award for Division 34Join us as for release of new CAAAV Report!Erit Maor and Kristen Hackett awarded Gittell Research AwardHERG takes on San Antonio! 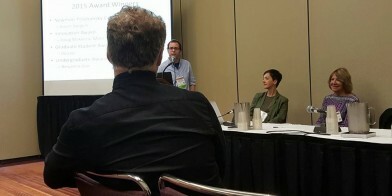 The Housing Environments Research Group (HERG) is a research group that seeks to understand the relationship between people’s lives and their housing and neighborhoods. HERG is a part of the larger research center, Center for Human Environments, which is located at the CUNY Graduate Center, and is comprised of doctoral students and directed by Dr. Susan Saegert. In studying housing and community, HERG adopts an ecological perspective, focusing on the physical and social interrelationships among individuals, households, groups, communities, and the broader society. Building on participatory methods pioneered at the Center for Human Environments, HERG undertakes many of its projects in partnership with residents and community organizations, involving them in the design, implementation, analysis, and interpretation of the research. HERG works with clients in various phases of the development of housing environments, from needs assessment to architectural design, from the establishment of management structures and social programs to post-occupancy evaluation. Sometimes HERG contributes its expertise at the stage of new housing design and construction; other times our focus is on the solution of problems in existing housing and neighborhoods. Of particular interest to HERG are the ways in which housing and neighborhood environments can support resident control and human development throughout the life cycle.